The cotton growing farmers in the region are heaving a sigh of relief in the current season as they are getting good return on the crop. The farmers, who are known for incurring heavy losses every now and then, are now enjoying the prevailing market conditions and selling cotton at never before price levels. It is for the first time that the seed cotton prices have crossed the Rs 6,400 per quintal mark in the markets eventually bringing smiles on the faces of the farmers. The cotton growing farmers in the region have been facing the wrath of nature for quite long. Additionally, on many occasions, the market conditions had also given sleepless nights to them that had subsequently led to farmers suicide. But the current season is proving very beneficial for them, especially those who sold the crop at the end of the season. 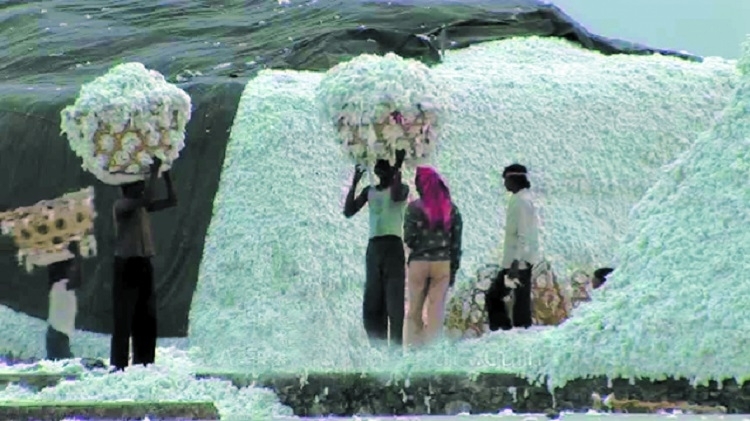 When the cotton season began in November 2018, the prices were quoted in the range of Rs 5,450 to Rs 6,000 per quintal. It was considered satisfactory level for the farmers. However, in January - February (2019), the market conditions changed dramatically and seed cotton prices fell to a level of Rs 5,250 to Rs 5,300 per quintal. But the prices swell once again at the end of the season to touch all-time high. About 15 per cent of the cotton farmers were holding the crop hoping to change the market scenario and it happened in March end. “The market started reacting when it learnt that the cotton production has slipped in the country in the current season. As against the estimated figure of 330 lakh bales, the country could witness production of 310 lakh bales of cotton. This is expected to create huge gap in demand and supply and thus the prices went up. It is good for the farmers of the region,” said one of the cotton dealers on a condition of anonymity. For the past few days, the cotton mills and processing units have been aggressively buying cotton from domestic and international markets. Sources told The Hitavada that about 5 lakh bales of cotton have been booked from international market. They also said that the demand is likely to grow further in coming days and so are the prices. The demand for cotton in the current season is expected to increase cotton cultivation area in the next season. “When the farmers get good returns, they get motivated and go for cotton cultivation,” said. Vishal Purohit, Partner in Mulchand Kisangopal Cotton Broker. It is important to note that large number of the farmers in Vidarbha region cultivate cotton. But climatic conditions like deficient rainfall, hailstorms and drought like situations cause heavy loss to the crop.